The Luxembourg government and Kleos Space S.a.r.l signed a Memorandum of Understanding (MoU) on Monday, setting out their cooperation for space technology development within the SpaceResources.lu initiative. 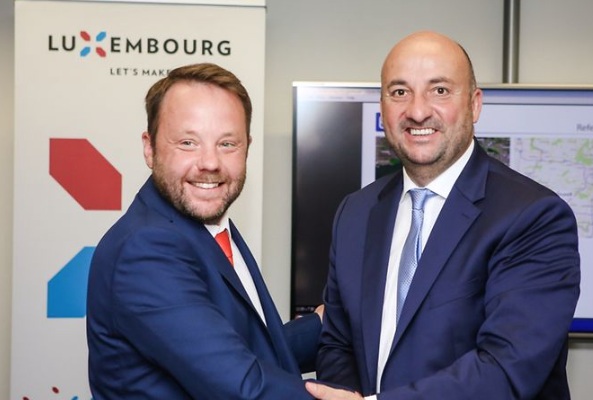 According to a statement by the Ministry of Economy, the developments and research to take place in Luxembourg are related to the project for in-space manufacturing of composite beams equipped with antennas. The government will support the development of the in-space manufacturing technology by providing funding through the Luxembourg space programme LuxIMPULSE. "By widening the capabilities of the national space sector, the implementation of Kleos Space in the Grand-Duchy is confirming the constant expansion and consolidation of Luxembourg as a European hub for developing highly advanced space technologies in the context of the SpaceResources.lu initiative," said Economy Minister, Étienne Schneider, on Monday. The newly created Kleos Space company is active in geolocation services and develops a space infrastructure for geo-intelligence and signal intelligence applications with in-space manufacturing. It is is 100 per cent owned by UK-based Magna Parva Limited. Kleos Space has its premises at the business incubator Technoport where it employs five people, but intends to hire up to 60 people in Luxembourg by 2022. Signing the memorandum on 24 July, Kleos Space Director Andy Bowyer praised Luxembourg's efforts to support and develop space exploration and mining. "We are particularly proud to nestle our new company in Luxembourg as the Grand-Duchy has been a forerunner in space technology since the late 80’s," he said. "Today it has a clear, defined and commercially focused space strategy mainly with the world leading SpaceResources.lu initiative, which is closely aligned and highly complementary to our own." Kleos Space will collaborate on this project with EmTroniX, a Luxembourg-based company specialised in electronics development, as well as with the Luxembourg Institute of Science and Technology (LIST). Economy Minister Étienne Schneider also argued that "the cooperation of Kleos with LIST as a renowned research organisation, the hosting of the company in a public incubator as well as the collaboration with other national private actors showcase the assets of the local expertise ecosystem and provide Kleos a promising starting position in Luxembourg".